Rob MacKillop is regarded as one of Scotland�s finest musicians. 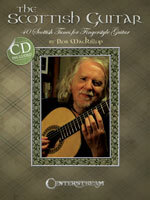 In this ground breaking book, he defines a uniquely Scottish way of playing the guitar, incorporating rich traditions into later material � from Gaelic songs to traditional airs and dances. His arrangements reflect the origins of the tunes, with appropriate ornaments and phrasing. The accompanying CD helps players gain a deeper understanding of the subtle art of phrasing. 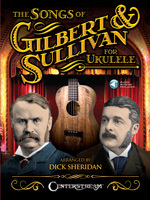 Tunings used are DADGAD, Open D and Open G.
Whether you�re already a Gilbert and Sullivan fan or are eager to discover the enjoyment of their famous collaboration, this is the book for you. 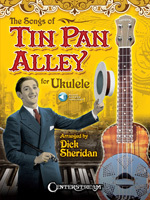 For playing or singing or simple listening to the online audio, you�ll love the lively scores and clever lyrics that are now ready in this exciting collection of arrangements for you and your ukulele. Songs are presented with standard notes as well as tablature with large chord diagrams and symbols. The online audio lets you hear the melodies, the harmonies, and allows you to play along with each recorded track. 35 timeless standards from the early 20th century arranged for the ukulele with online access to audio tracks for each song for download or streaming. Enjoy the wonderful melodies from a bygone era. Sample the vivid imagery of cleverly crafted chord progressions that continue to remain fresh and stirring. Songs include: Alice Blue Gown � Caroling in the Morning � Chicago � Indiana � Margie � Moonlight Bay � Peg O� My Heart � Second Hand Rose � Shine on Harvest Moon � Sister Kate � and many more. This comprehensive blues book features information on rhythm patterns, fingerpicking patterns, double stops, licks in A, D, E, and G, and more. The accompanying CD features several compositions and all examples in the book. Besides 50 famous licks from Sonny, this book/CD pack gives you some quick harmonica lessons, information on Sonny's style, a discography with key chart, and a bibliography for future research. 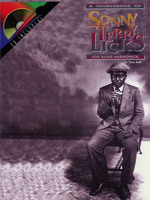 The CD includes each lick played out by the author.